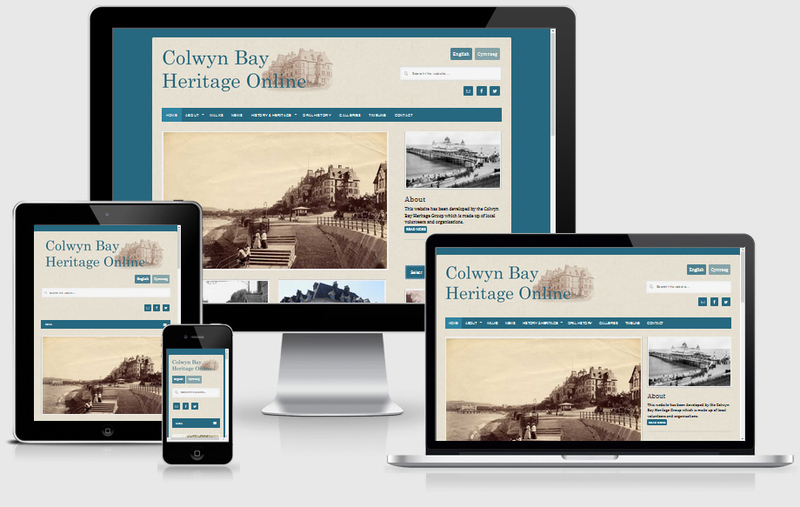 Colwyn Bay Heritage Group’s new-look website, grant-funded by Colwyn Bay Townscape Heritage Initiative, has now been live for one year and is thriving. In the year since the website launch, visitor numbers have risen by over 3000. The website was updated to bring it in line with the way people now access the internet, which can quite often be through their phone. The website adapts to the device it is shown on to make it user-friendly and to encourage people to stay and explore the site. The timeline feature is now also active, which unveils events in chronological order as you scroll down the webpage, and allows visitors to choose different time periods to explore.